​Dr. Mike Robinson: Who should attend the 2018 R.A.C.E. MENTORING CONFERENCE? 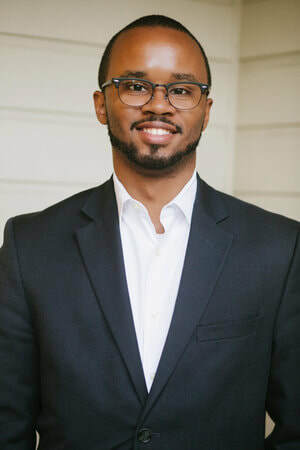 Dr. Ramon Goings: The RM Conference provides a space for graduate students, junior and senior faculty/administrators, and K-12 scholar practitioners of color to gather to discuss and share best practices on how to survive and thrive within K-12 and Institutions of Higher Education. Dr. Mike Robinson: What will participants take away from the 2018 R.A.C.E. MENTORING CONFERENCE? Dr. Ramon Goings: Participants will take away from the conference a new network of committed scholars who they can call on for support. In addition participants will get insight into navigating the dissertation and publishing process, strategies for preparing for tenure and promotion to associate and full professor, and higher ed personnel will have the opportunity to build with k-12 practitioners who sit at the intersection of theory and practice. Dr. Mike Robinson: Why are the R.A.C.E. MENTORING CONFERENCE 2018 and the R.A.C.E. MENTORING program significant to educators of color? Dr. Ramon Goings: RM generally and the conference specifically are significant as it is a venue “for us by us.” Thus, the advice shared and insights discussed are given through a racial lens that takes account our unique positions as scholars and practitioners of color in the academy and K-12. Given at our respective institutions we are one of few, RM provides an opportunity to be in a community of many who at any point in time will help support you in the ways that you need. Dr. Mike Robinson: Can you list a few of the workshops/trainings that will be available at the R.A.C.E. MENTORING CONFERENCE 2018? Dr. Ramon Goings: Some of the trainings at the conference include: Publish not Perish: Strategies for Writing Success, Preparing for the Dissertation, Navigating Tenure and Promotion, Syllabus and CV Development, Grant Writing Strategies, and Self-Care in the Academy. CO-SPONSORS: Two co-sponsors: Vanderbilt University and Tennessee State University. The conference will be hosted at Vanderbilt University in Nashville, TN, July 13th – 15th. All sessions will be in the Wyatt Rotunda and rooms on the 3rd floor. We begin at noon on July 13 and end at noon on July 15. We look forward to your attendance. For information on the conference, browse through the website.